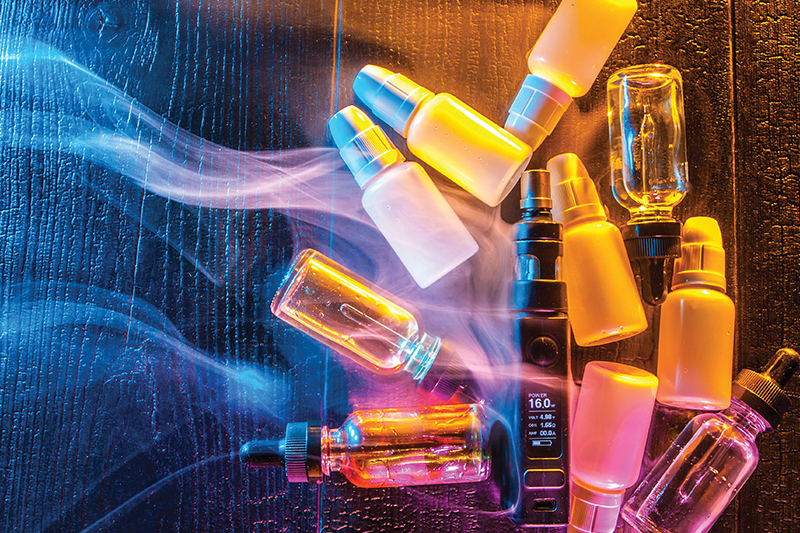 Proponents of bans on tobacco flavors suggest that the existence of flavored tobacco products causes teenagers or young adults to initiate or continue tobacco use. However, there is no scientific basis for such a conclusion, and prohibiting the sale of flavored tobacco products will not solve the issue of youth tobacco use. Teenagers begin to use tobacco for many reasons. They naturally want what adults have, whether that is the ability to use tobacco products, consume alcohol, experiment with drugs or engage in other adult behaviors. These are behaviors that teenagers engage in, whether caused by peer pressure, experimentation, curiosity, assertion of independence or any number of other reasons. At the same time, a body of research points to peer relationships and brain development as being a key factor in the behavior of teenagers and suggests that teens are more susceptible to influence from their friends and have a strong need not to be excluded by those in their peer group. This influence and aversion to exclusion combine to affect teen behavioral choices to fit in with and not be rejected by their peers. The U.S. Centers for Disease Control and Prevention quantifies these activities biannually in its Youth Risk Behavior Surveillance Survey (YRBSS) of high school students. The 2017 YRBSS results show that 19.5 percent of high school students said they had used some kind of tobacco product on any given day, even if only a single puff, in the most recent 30-day period prior to the survey. Similarly, 29.8 percent of youth reported that they had consumed alcohol products in the same period. Bearing in mind that the legal age to purchase and consume alcohol is 21 nationwide, and that in 41 states the legal age to purchase and use tobacco is 18, this is a significant finding because it shows that not being of legal age does not prevent youth from engaging in these otherwise adult behaviors. The survey results also indicate that slightly more high schoolers (19.8 percent) said they had used marijuana in the 30 days prior to the survey, even though it is a product that is considered to be federal contraband for all age groups everywhere and is illegal for all under most states’ laws. Use of tobacco products by underage youth should also be considered in their long-term context. Past 30-day high school student cigarette use has declined from 12.7 percent to 2.6 percent since 1991, cigar use has declined from 22 percent to 8 percent since 1997 (its first survey year), and e-cigarette use has declined from 24.1 percent in 2015 (the first year it was included on the survey) to 13.2 percent in the 2017 survey. (Note: There may be overlap among the three groups. That is, a student may use two or three products and appear in each group.) These statistics show that tobacco use in any form is in a long-term decline among high school students. From this survey data, two conclusions can be reached. First, a small and declining number of youths are using tobacco products of any kind, flavored or otherwise. Second, the scientific evidence does not support the assumption and claim by advocates that flavors, rather than other factors, cause teens to use tobacco products. 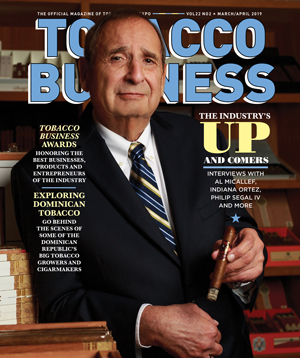 Since the National Association of Tobacco Outlets (NATO) began monitoring local tobacco ordinances in 2012, to our knowledge not one single local government that has considered restricting flavored tobacco products has also suggested the need for a ban of flavored alcohol products, even though more underage youths drink alcohol than use tobacco products. 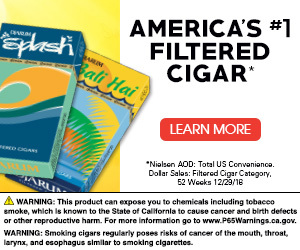 This, despite the fact that for virtually every flavored tobacco product there is an identically flavored alcohol product. In short, there is no evidentiary basis that adding flavors to tobacco products is the reason why teens use tobacco. The results of another important study sponsored by the U.S. Food and Drug Administration (FDA) and the National Institutes of Health (NIH) come to a similar conclusion. This study, called the Population Assessment of Tobacco and Health (PATH) Study, is a long-term study of 46,000 people aged 12 and older that tracks tobacco use and behaviors. 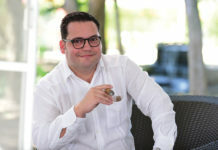 The first set of data from the PATH Study, known as Wave 1 data, found that among those between the ages of 12 and 17, 1.8 percent stated that they used flavored cigars. Among young adults between the ages of 18 and 24, that figure was 3.9 percent. In either case, the use of flavored cigars represents a very small percentage of young people that use tobacco products. That is, at this point, the data from the PATH Study does not support a conclusion that flavors actually cause tobacco use. 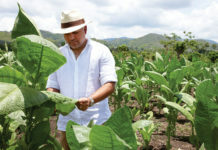 Proponents claim that because young people report that they use flavored tobacco products, then flavors in cigars must have caused them to try cigars. However, no study has asked young people why they started to use flavored tobacco products. Rather, the questions are more basic, such as asking whether they use flavored tobacco products and which products they use. This is significant because correlation is not the same thing as causation, and to suggest that because a small percentage of underage people used flavored tobacco products, given the many reasons that might cause them to experiment with tobacco products, it does not follow that flavors are the reason why they use tobacco. This finding from the FDA’s Office of Science demonstrates that a blanket prohibition on all flavors does not target youth initiation and use. In conclusion, local government officials should focus on responding to the underlying causes of risky teenager behavior rather than adopting an ordinance that simply bans all legal tobacco products. A policy that outright prohibits flavored tobacco products is not necessarily the solution to the issue of minors using tobacco. Instead, understanding youth behavior, and continuing to educate youth about why they should not initiate tobacco use may be the more prudent and, ultimately, the more successful approach.